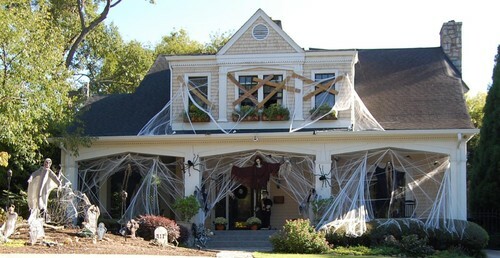 Hosting a ladies-only Halloween bash? Read on as Treetopia shows you some wickedly smart tips for ensuring your party is a monster hit! 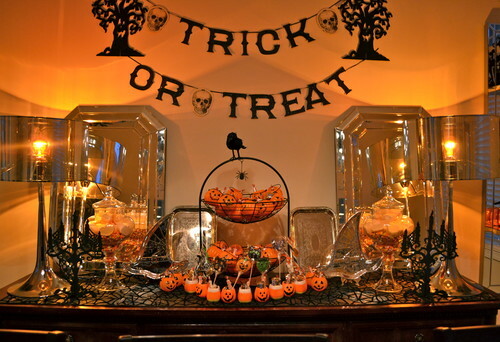 Choosing a specific theme will not only make your ladies-only Halloween bash more cohesive, it will also cut the planning time in half. A theme gives you a nice start-up and direction, making the whole process so much simpler. If you like to have a party with some serious scare, why not center your ideas on scary female villains from books and movies? If you want a more historical approach to your party, ask friends to dress up as famous women throughout history. You can also host an Oscars-style gala if you prefer to party in Hollywood fashion. Passing some responsibilities and tasks to your friends can relieve you from a huge amount of stress. Make a list of all the tasks that need to be done, and get things running smoothly by asking the help of reliable and capable people. Meet with your girl friends to talk about food, entertainment, and everything else on your list. Plan the menu as a group, and check if anyone has any special food preferences for their diet. Discuss who brings what if it’s going to be a potluck party. Other tasks to consider delegating are decorations, music that fits the theme, and the after party clean-up. Prepare Halloween invites that incorporate elements of your chosen theme. Double check important details such as the date, time, and venue of the party, and consider mentioning a dress code. Your guests would love to receive some guidelines on the appropriate Halloween costume, and a themed invitation is a great way to do that. Add something mysterious to the invitations — a special guest, a special performance, or an activity — to entice your friends to come, and remind them you’ll be hosting a ladies-only party. Finally, send out the invites and collect RSVPs. Make sure your guests can move comfortably around the house by prepping your space for the event. Arrange your living room furniture as you’ll want it for the party. Open up floor space by tucking away any clutter or things that might get in the way. Set up mini tables to provide a place for people to put down their drinks, and consider using low-wattage bulbs or candlelight to create the right mood. Check out our post on how you can prepare your living room for a party for more tips. Entertain your guests while they wait for the main dishes by serving conversation-worthy Halloween treats and cocktails. Hors d’oeuvres and drinks give people something to be busy with. Prepare some easy appetizers and cool and creepy Halloween cocktails that will be the haunting hit of your frightful bash. Incorporate competitive, scary, or even silly Halloween party games to entertain the ladies and make your monster bash even more unforgettable. Get your guests spinning as they are wrapped in toilet paper in the Mummy Wrap game, or try some seriously freaky blindfolded guessing game that requires players to dip their hands in Mystery Bowls. Highlight the success of the event while also recognizing everybody’s efforts by giving out awards such as best-dressed, scariest costume, sexiest of the night, or even early bird. Now that everything is in their proper places, relax and party the night away with your friends! Remember that as a host, your mood can easily affect the tone of the event, so it’s important that you stay light-hearted, relaxed, and sociable. In the end, the more you enjoy the party, the more likely your guests will have a fabulous time. End the celebration in an unforgettable way by giving out special Halloween souvenirs. Trick or treat bags are a great way to thank your guests for attending. Photo booth pictures capturing each and everyone’s costumes are perfect for guests to take home and remember the event for a lifetime. This Halloween, make your celebration spook-tacularly fun! Let this guide help you prepare for one of the most entertaining nights of the year!